Production of Best quality Feed grade supplement. Use proper raw material and method for production. 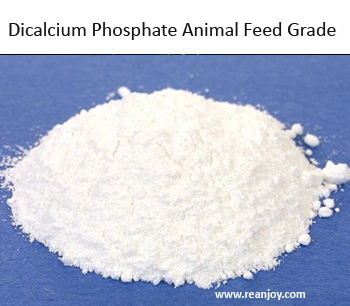 Dicalcium phosphate is an important source of calcium and phosphorus for feeding livestock, as such or through mineral mixture. Dicalcium phosphate animal feed grade use at Manufacturers of various Cattle Feed Raw Material used by Member Unions for manufacturing of Cattle Feed, mineral mixture, PROCESS Dairy cattle and buffaloes require a number of dietary mineral elements for normal body maintenance, growth and reproduction etc. Choose an experienced manufacturer for Dicalcium Phosphate animal feed grade in India. We can also commit to deliver anywhere in India mainly including Rajsthan,Gujarat, Madhya Pradesh , Haryana, Punjab, Himachal, Utter Pradesh,and Andhra Pradesh, karatka, Tamilnadu or all over india,world. Get in touch to know about our supply process. We are quality exporter services with a state of the art advanced manufacturing plant. Animal feed grade products need to meet several critical concerns. Primarily, it should not be difficult for the cattle to digest. We always also keep in mind that the product would eventually find its way to human consumption. This concern guides us to employ quality oriented production methods for delivering the best. Potential clients are always welcome to visit our factory in person and talk directly with the owner. One key issue in the industry is that this ionic salt is very susceptible to microbial contamination. Our product goes through several levels of standard quality procedures to delay contamination. Essentially, we mean to observe a perfect balance between a product that is not too much laden with preservative, nor is too fast to deteriorate. The rock based derivation ensures you obtain it from a pure natural source. Both calcium and phosphate serves critical nutritional functions within the body. The benefits include improved bone matrix strength, better genetics, enhanced nerve signal transmission, and overall health aspects. Increases milk production in animals. Better utilization of absorbed nutrients. Helps improving growth rate in calves. Improves reproductive efficiency and reduces inter- calving period. Prevents metabolic diseases like milk fever, ketosis, haematuria which occur around calving period. Increases productive life of animals.